This month, we sat down with Glance Networks, a leading provider of visual engagement solutions including cobrowsing, screen sharing, mobile app sharing, and live agent video to enable organizations to better engage with their customers. Glance is working with Docutech to combine their cobrowsing functionality with smart document and eSignature technology to enable lenders to deliver a more personalized, white-glove service experience and ultimately close more loans. How does Glance Networks serve lenders and borrowers in today’s digital age? Digital transformation is a wonderful thing…except when customers find themselves stuck. When the process is complex and stressful, Glance Cobrowse allows lenders to see exactly what the borrower is seeing on-screen, which enables them to quickly identify the problem and deliver expert guidance to get them unstuck. Rather than see transactions remain stalled or lost completely, we’re able to convert them and transform previously frustrated applicants into loyal borrowers. What are the most important differentiators between Glance Networks and other co-browsing solutions? (1) We specialize in deeply embedding our solutions into our partners’ technology and workflow to provide a more frictionless agent/customer interaction. (2) Our technology is purpose built with the lender’s information security requirements in mind. Fields containing the borrower’s sensitive data, such as social security numbers, bank account numbers, etc., are masked from the view of the agent, and the information is never exposed to the lender’s servers. (3) Glance has a full suite of visual engagement technology that enables lenders to better engage with borrowers regardless whether they are connecting via the lender’s website, browser-based app, desktop app or mobile app. Any snag in the digital loan application experience represents a damaged customer experience and a potentially lost transaction. Glance enables lenders to join borrowers in the digital loan process to resolve potential problems, rescue lost or stalled transactions and develop lifelong customer bonds. As J.D. Power recently reported, borrowers are increasingly choosing digital loan origination over traditional practices, which is resulting in higher levels of satisfaction within that channel. While this is true, we still see personal interaction with a real person maintaining a key role in the full lending process. How will the integration of Glance and Docutech be able to help lenders reach these goals/advancements? Glance and Docutech together provide an unbeatable combination that strikes the right balance between digital technologies and personal interaction. 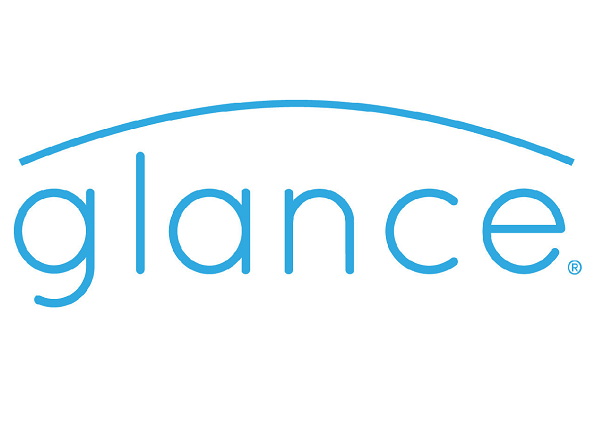 Through our combined efforts and technology offerings, Glance and Docutech successfully remove the guesswork and customer frustration from a complex and stressful financial process and provide lenders the opportunity to not only solve problems and offer guidance, but to also “get personal” with their borrowers and develop meaningful customer relationships.